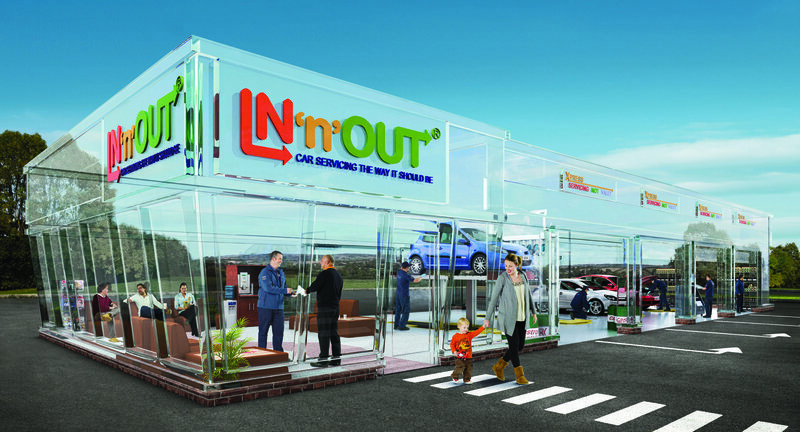 IN'n'OUT is a refreshingly different approach to car MOT & Servicing. 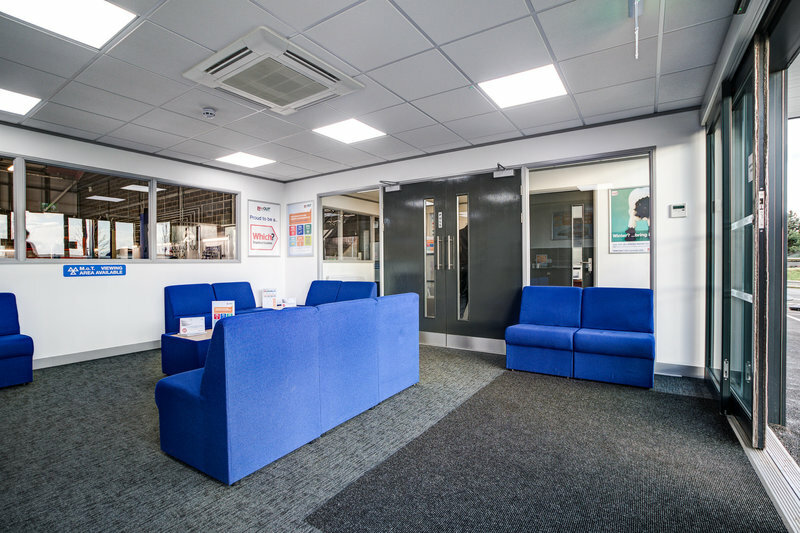 With centres across the UK, you can experience car servicing the way its should be...just book your slot today! Rotherham branch - very good work, very transparent, polite & professional. Engineer even spotted an intermittent number plate light fault, which impressed me, just a fiver to replace. Excellent work lads! Been here for about 2 years for my car service mot and repair best garage in South Yorkshire tell my friends and family to go there. Hi, thank you for taking your time to share your experience with us. 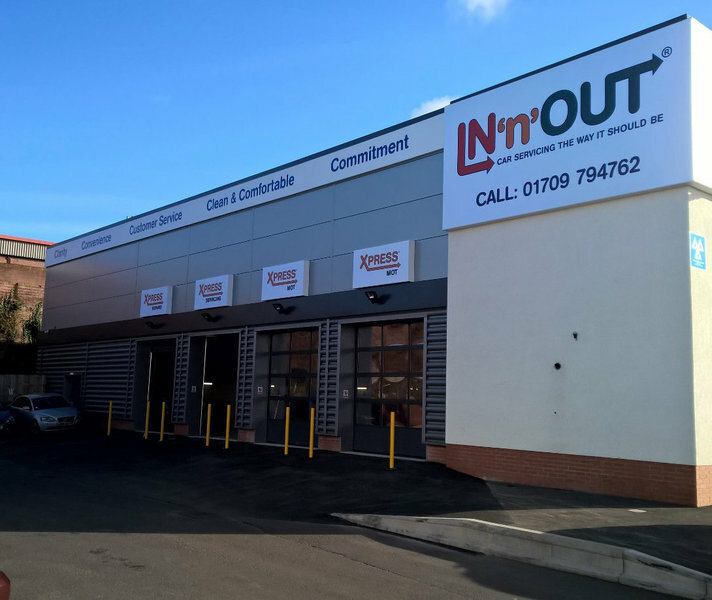 We are delighted to hear you had positive visit after your recent booking at IN'n'OUT Autocentres! Thanks, Hannah. Hello, thank you for taking the time to leave us a review. We are sorry to hear that your recent visit was not at our usual high levels of customer service and satisfaction. 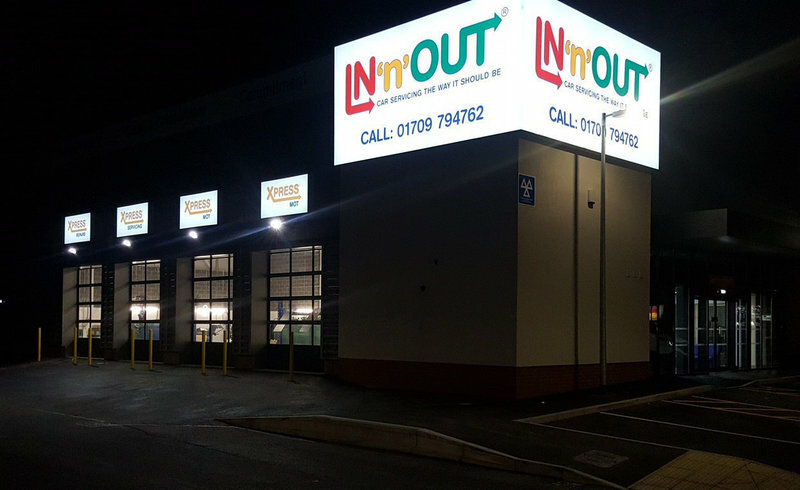 Please could you email your car registration and mobile number to info@in-n-out.co.uk so we can look into this for you. Once our investigations are complete we will be in touch. Regards, Louise. Great group of lads that listen to what the problems are of your car and tell you straight what needs to be done to fix it. Not over priced and they dont just charge you extra because they know they can (like other garages do!). Always take my car here when I can and never been dissatisfied. Would highly recommend! The guys serviced and m.o.td my car earlier this year. And did such a great job so I joined their drivers club which is free and you get 10% off repairs servicing etc. Lately I've had a knocking from the car I took it in and they found the problem and fixed it straight away. I cannot stress enough how good the guys were and I would recommend them to any one. Thanks guys. Hey John, thank you for taking your time to share your positive experience with us. 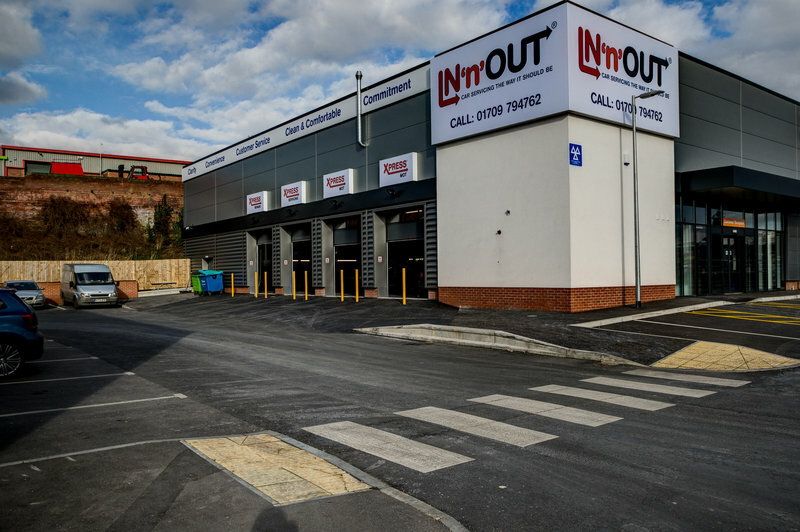 We are delighted to hear you had a 5 star visit after your recent visit to IN'n'OUT Autocentres, we will pass this feedback onto the centre team & support office team. We are always grateful for recommendations to friends and family too! Thanks, David. Recently had MOT done, front tyres changed and alignment fixed. The work was well done and in a decent time frame, reasonably priced, there is a good waiting room/viewing area if you want to hang about and it's in a fairly convenient location for buses/shops if you don't. I definitely wouldn't hesitate to use them again. Dear Matthew, thank you for your positive review. We will be happy to pass along your comments to the centre team! Our autocentres strive to deliver an excellent customer experience and we are glad you found this to be the case during your visit. We look forward to welcoming you when you need us next! Had all of our family cars serviced and MOT’d here. About six months later one of the cars needed new brake pads and discs. The team at Rotherham did a great job. Fast, efficient and very reasonably priced. We will continue to use them without hesitation. Highly recommended. Dear Jackson, thank you for your positive review. We will be happy to pass along your comments to the centre team! Our autocentres strive to deliver an excellent customer experience and we are glad you found this to be the case during your visit. We look forward to welcoming you when you need us next! Just had a service carried out, good value and service. Free wifi and coffee while you wait. Will use them again. Hi Mullins, thanks for your feedback following your recent visit to IN'n'OUT Autocentres. We pride ourselves in our high levels of service and customer satisfaction and we are happy to hear you had a positive visit. We look forward to welcoming you again when you need us next. Good viewing area to see what is going on, did exactly what they said they were going to do, would trust them with my car again. Had some bad experiences with other service centres but this was a good place. Thank you all. 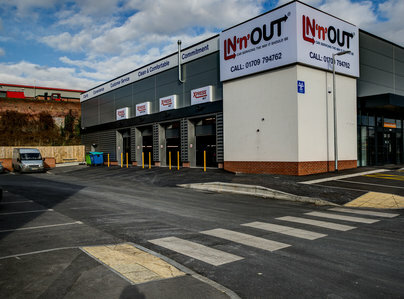 Hi Neil, thanks for your feedback following your recent visit to IN'n'OUT Autocentres. We pride ourselves in our high levels of service and customer satisfaction and we are happy to hear you had a positive visit. We look forward to welcoming you again when you need us next.